See some of the best landmarks and attractions in Westminster lit up in spectacular fashion next week, as the capital illuminates for Lumiere London, a new and free light festival. From 14-17 January 2016, Lumiere London brings together some of the world’s most exciting artists working with light. Expect large-scale video-mapped projections, interactive pieces and jaw-dropping installations, transforming many of the capital’s most iconic streets and buildings in the West End and King’s Cross. Amongst sights to see is Elephantastic by Catherine Garret and Top’là Design. Emerging stomping from a cloud of dust, an enormous elephant makes his slow, and heavy journey through the archways of Air Street. This extraordinary animated projection brings the sounds of the jungle to Central London as he trumpets his way through the Regent Street area. At BAFTA 195 Piccadilly, experience an exploration of different genres of cinema and television using images from BAFTA’s archive. The visuals hark back to the origins of 195 Piccadilly as the home of the Royal Society of Watercolour Painters. The animation, by motion design experts NOVAK, is accompanied by a striking soundtrack, created by Ed Carter and inspired by the classic sounds that helped define these genres of film and television. In the heart of ‘Theatreland’, Neon Dogs by Deepa Mann-Kler brings together 12 neon dogs inspired by balloon dogs at children’s parties. Grouped together near Trafalgar Square, these colourful canines, complete with bones, leads and dog mess, bring out the big kid inside all of us. Deepa Mann-Kler first produced this installation for Lumiere Derry~Londonderry in 2013, and has a growing interest in working with neon. Nestled amongst Mayfair’s world famous Michelin-starred restaurants, including Le Gavroche, Kai, Hélène Darroze at The Connaught and Fera at Claridge’s, is Lightbenches by Bernd Spiecker for LBO LichtBankObjekte. Illuminating the park benches of Grosvenor Square, this is street furniture with a difference, a unique resting point that transforms the concept of public seating. Lit by hundreds of LEDs, the Lightbench allows you to take the weight off your feet and strike up a conversation with a stranger. Bernd Spiecker’s first bench was made in 1982 using acrylic material. He has since developed the idea of Lightbenches, seeing them as symbols of recreation. He plans to build 100 across the world in the hope that they will bring people together in conversation. The four-day Lumiere London light festival runs from 14-17 January across Piccadilly, Regent Street and St James’s, Trafalgar Square and Westminster, Mayfair and King’s Cross. The easiest, most leisurely way to discover the spectacular installations at Lumiere London 2016 is by foot. Download the map or get the app for your iPhone or Android device. If you are looking for a London venue with a difference for this summer, then look no further than a unique dining experience on board the HQS Wellington. Moored on by the Thames Embankment, the HQS Wellington offers a memorable backdrop for summer parties. Her central location affords sweeping views of the South Bank, from the Shard to the London Eye, not to mention the ever-changing scene of river traffic. Soak up the sun on Quarterdeck with up to 220 guests, as The Cook & The Butler’s dedicated hospitality service provides a fine dining experience including cocktails and a barbeque. Email the events team to enquire about availability and the all-inclusive summer packages. You will never see the river the same way! Little beats the buzz of London when the sun shines. People appear instantly rejuvenated and there’s a new-found energy that sees us immediately making plans, getting together for after-work drinks and generally finding any excuse possible to be outdoors rather than at home on the sofa. With skies staying bright and light well into the evening, there’s no better time to seize these summer vibes and plan an event at one of central London’s ready-made outdoor hotspots. Just steps from Pimlico station, discover a bigger-than-expected courtyard oasis tucked within the grounds of award-winning etc.venues Victoria at One Drummond Gate. Make yours a jug of Pimm’s or mojito and theirs a bucket of four beers (a reasonable £12 per jug or bucket) at a drinks-only reception, or for rumbling tummies, plan drinks around an informal, two-course barbeque for groups of 15 or more at £30 a head. Sit on the grass, at tables, on wooden benches, or comfy outdoor sofas, whatever takes your fancy and if you’re planning an afternoon event, how about surprising delegates with a refined spot of al fresco afternoon tea, including a choice of four sandwiches, three cakes (£19pp) and even a glass of bubbly (increases to £25pp). Etc.venues Victoria’s garden is available for standalone hire, or as a bolt-on to a meeting, conference or teambuilding session in the adjoining Garden Suite, until 20th September. Pop in for a show round this month and you’ll be entered into a prize draw to win a picnic for you and 10 of your colleagues. Email Claire Bowman or call 020 3011 0990 to enquire. At No.11 Cavendish Square, inhale the sweet and uplifting scent of juicy citrus trees within the venue’s glass-roofed Orangery, which leads onto a tranquil courtyard garden with a living wall and a candle-lit water feature. Bordering a popular garden square, just a few minutes’ walk from Oxford Circus, this Grade II listed townhouse is one of very few venues in London that can offer indoor-outdoor space for up to 200 guests. Add in the 100-capacity Garden Room, decorated in pretty floral and bird wallpaper and the space to entertain both inside and outside becomes substantial. In the past The Orangery and Courtyard Garden have been used to host private events including weddings and Bar Mitzvahs, as well as parties and receptions for clients including the BBC, Christian Dior, Ben and Jerry’s and Elizabeth Arden. Summer party packages, including barbeque and cocktails, start from £84 per person. To enquire, call 020 7307 2474. If grand and globally significant landmarks are your thing, there’s nothing quite like securing private hire of Westminster Abbey’s College Garden. A hidden treasure that is not exuberantly advertised, this grassy green is nestled within the private grounds of the Abbey, hidden from the hoards of tourists busy getting their London culture fix in world-famous Parliament Square. With stunning views of the Houses of Parliament and the Abbey itself, the garden can be hired for corporate receptions and dinners during summer events season, which typically runs from mid-June until mid-July. During this period a large 12 x 30-metre frame marquee is erected to one side of the green, capable of accommodating up to 500 guests for a drinks reception and 300 for a dinner. A handful of dates still remain for the summer season, but there is scope to arrange outside events at other times during the year. 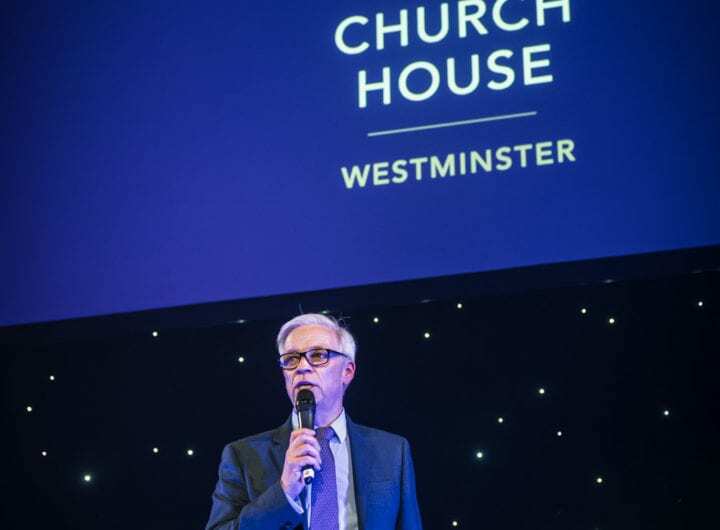 For further information and venue hire fees, contact the Abbey Events team on 020 7654 4913 or by email bookings@westminster-abbey.org. Hideaway garden parties are also on offer at 116 Pall Mall, home of the Institute of Directors. Starting from £55 per person, plan a canapés and drinks party for a minimum of 100 guests in the private terrace and garden, which includes use of the adjacent Carlton Room. This Grade I listed Regency venue is located a few minutes’ walk from Charing Cross and the team is happy to help arrange entertainment, marquee hire and customised food menus. Email functions@iod.com or call 020 7451 3107 to find out more. View seekers keen to impress in stylish surroundings should investigate The Terrace at No.4 Hamilton Place, just off Park Lane. Elevated above the hustle and bustle of Mayfair, guests to this exclusive rooftop garden can peer out over panoramic views of London’s most popular royal park, the 350-acre Hyde Park. Swathed in hot pink Pelargoniums and lush green foliage, the west-facing terrace is a real sun trap and a sought-after destination well suited to light summer dinners, bowl food receptions, canapé parties and barbeques. You’re guaranteed exclusive use and while patio heaters are available to counter evening chills, if wet weather creeps in, the adjoining and very ornate Argyll Room is available as part of your package, with an equal capacity for up to 200 guests. To enquire, call Aggi Bailey on 020 7670 4314 or email hello@4hp.org.uk. At Central Hall Westminster, your guests can marvel at the landmarks for which London is so famous. Think Big Ben, the Houses of Parliament, Westminster Abbey, Parliament Square and the London Eye as you make your way up the beautiful Grand Staircase (a replica of the Paris Opera stairway) – or take an elevator – to the fourth floor Skyline Terrace, boasting incredible views of these iconic sights. Perfect for VIP summer soirees or exclusive receptions for up to 100 people, the terrace was famously used by the world’s media to film the Royal Wedding in 2011 and it is connected to the indoor South Rotunda, a bright, circular room with skylight windows. It also offers direct access to the 2,200-seat Great Hall, boasting the largest domed ceiling of its kind in Europe. Talk your event through with the team on 020 7222 8010 or email enquiries@c-h-w.com. Dominating the first floor of the Royal Institute of British Architects (RIBA) is the magnificent Florence Hall, the largest and most exquisitely decorated room in this venue. Vast floor-to-ceiling windows and etched glass doors open out onto RIBA’s main roof terrace – one of three at the venue – which can be used as a shady and secluded area for conference breakout sessions in the daytime, or as a fabulous summer party area in the evenings, for up to 120 guests. Imaginative planting, contemporary furniture and discreet uplighting contrast and enhance the 1930s architecture of the building, with the terrace connecting effortlessly with the Florence Hall to create an enticing and sociable space in which to entertain. Book this year’s summer party (to be held in July or August 2013) before the end of July 2013 and quote “Summer Sizzler Offer” to claim a 10% discount on the venue hire. Also at RIBA is the top-floor roof terrace connected to the Wren Room, which boasts panoramic views across London. A perfect spill-over for guests, the terrace comes as part of the hire package of The Wren Room, a space popular for meetings for up to 100 guests or dinner dances for up to 70. Email venues@riba.org or call 020 7307 3888 to enquire. This May, St Martin-in-the-Fields is launching Café in the Courtyard, just behind the church. Open from late morning until sunset, Café in the Courtyard caters to both the local work force passing through for a quick coffee and the lunchtime picnicker hoping to catch a few rays of sunshine. In the evening, visitors can enjoy a drink and spot of dinner while catching up with friends and watching the world go by. The inside will be open as usual, serving great food in the award-winning Café in the Crypt and hosting events from local and international clients. Whether it is a sizzling summer we see, or a bit of a washout, St Martin-in-the-Fields has a solution for both. For more details on how to book your event at St Martin-in-the-Fields please click here to view the venue’s full profile and to enquire using our simple form.